XLA and AFAC Kick-Off Partnership with 2 Events in April! 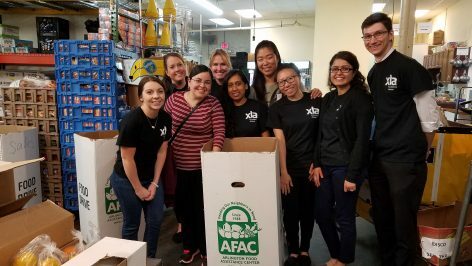 During the month of April, XLA participated in and sponsored two events in support of our new partnership with the Arlington Food and Assistance Center (AFAC). 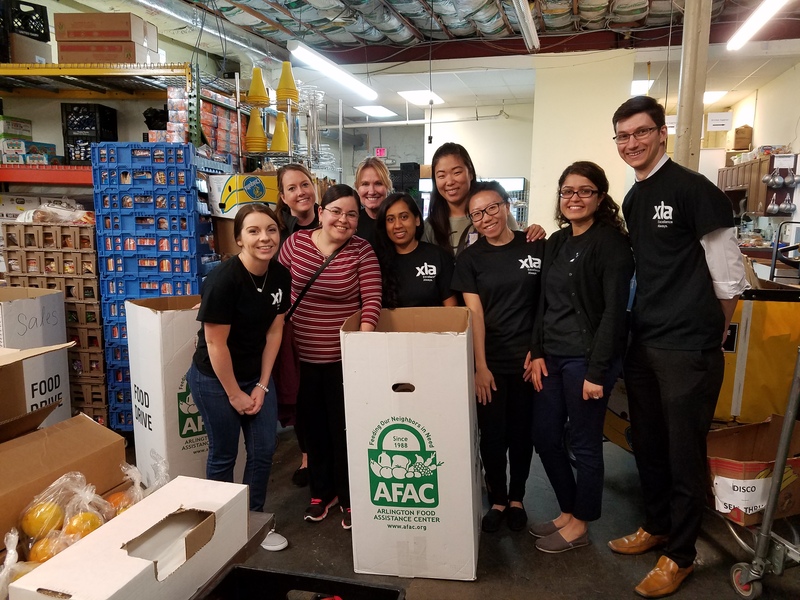 On April 19th, an energetic group of XLA employees went to the AFAC distribution center in Shirlington to pack “weekend backpacks” of healthy food for local children in Arlington. The event was a huge success, and the team was able to pack over 200 bags worth of food that will be distributed to those children in need. 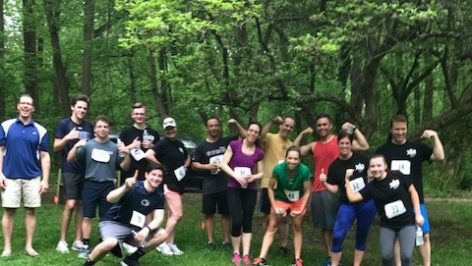 On April 29th, XLA sponsored the 5th annual BbG Obstacle Course Race to support AFAC. XLA had two teams participate in the race and a number of employees volunteer with race-day events and fantastic cheering. The 5K Obstacle Course was held in Arlington, VA at Potomac Park and followed scenic trails on the outskirts of Washington, D.C. Obstacles included an army crawl, stream crossing, pushups, and burpees! XLA CEO Gary Slack was on hand to provide some motivational words to the teams before the race. Gary also expressed his thanks to AFAC for their contribution to our community and our newly formed partnership. 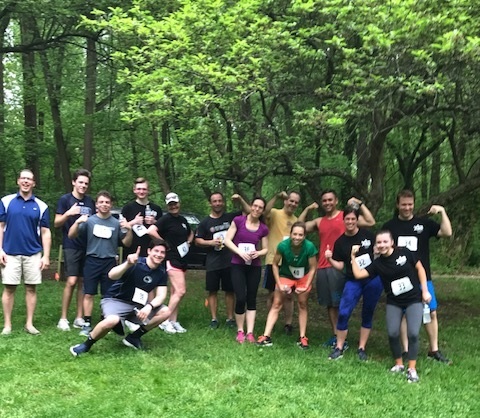 Throughout the race, XLA employees worked together as a team to motivate each other and finish the race– it was a great opportunity to build comradery and demonstrate true teamwork. With the help of XLA and other generous donors, the event raised over $7,000 for AFAC! XLA was proud to sponsor such a wonderful organization and we look forward to our events in the future. Check out our social media pages to find out when the next event will be scheduled!